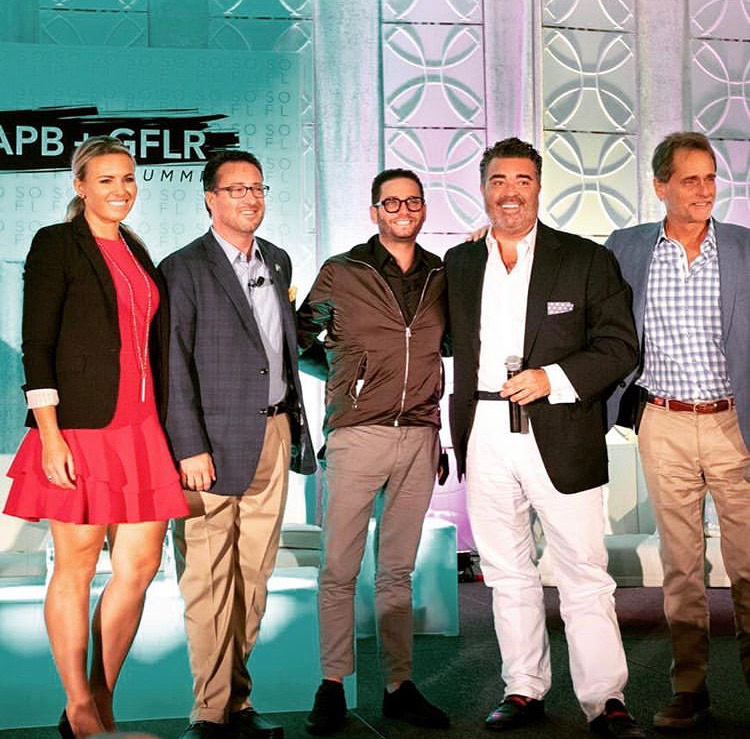 ON april 3rd, Holly Meyer Lucas WAS Featured on RAPB + GFLR's South Florida Summit along side Bravo’s Million Dollar Listing star, Josh Flagg. On April 3rd, the South Florida Summit, the area’s largest Realtor® conference and expo took place at the Signature Grand in Davie, Florida. Along with Bravo’s Million Dollar Listing star, Josh Flagg, our girl, Holly Meyer Lucas was featured as one of the panelists at the Summit. The South Florida Summit, presented by the Realtors® of the Palm Beaches and Greater Fort Lauderdale (RAPB + GFLR), had an interactive panel discussion on the latest and greatest real estate trends in our area led by three of South Florida’s top real estate agents, Holly Meyer Lucas, Tim Elmes, and Billy Nash. Discussing topics from commercial development to profitable niche markets, the event provided the area’s Realtors® with valuable information on the multilevel expansion that South Florida is experiencing. The Meyer Lucas Team had a great time at the event and learned lots of fun new things about #RealEstatin’! Holly Meyer Lucas with keynote Speaker, Josh Flagg, and other panelists at the Summit. THE SUMMIT WAS HEADLINED BY KEYNOTE SPEAKER, JOSH FLAGG, REALITY TV STAR OF BRAVO’S MILLION DOLLAR LISTING LOS ANGELES.